Fleet Auto News has surveyed the top fleet management companies to find out which were the most popular novated lease vehicles in 2017. VFACTS publish the list of top selling cars each month and at the end of the year a champion is crowned. Though these numbers include all buyer types, and can be influenced by business, government and rental that purchase more than 50% of new vehicles each year. The results are also influenced by manufacturers that need to hit targets. The top novated lease vehicles aren’t a surprise because they do correlate to the VFACTS numbers. And they also reflect what you are seeing on the roads and in shopping centre car parks. Although the landscape has changed over the last ten years. Large, locally made, V8 powered family sedans are now just a niche market. It now seems the market is split into ‘haves’ and ‘have nots’. The buyers that have a sense of adventure, or a large family; and the buyers that have not got a taste for large SUVs and 4X4 utes. Bevan Guest, Managing Director at FleetPlus, saw a 2017 that was similar to 2016 but the launch of new models by Mazda and VW changed the top ten rankings. “In regards to changes, it was very similar to the prior year with the main changes being the popularity of the CX9 and the decline of Commodore which dropped out of the top 10, when the previous year it had claimed seventh spot” says Guest. 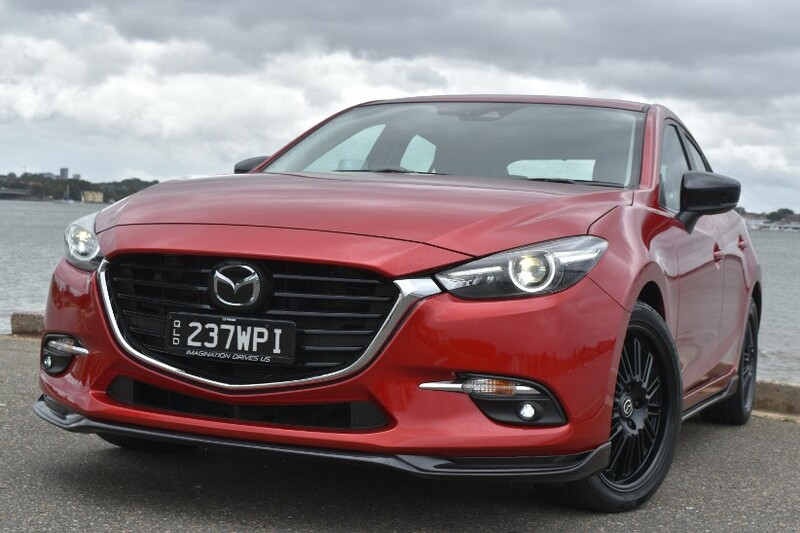 “In addition we saw a move away from the VW Golf into the VW Tiguan and Mazda remained in our top two spots both years whilst Ranger was again third. Interestingly, despite the huge range of choice for consumers, the top ten makes and models made up circa 25% of our total volume both years”. Toyota have three vehicles in the top ten which indicates a consumer demand for strong off-road capabilities in their novated vehicles. Antony Sabato, Head of Salary Packaging at Toyota Fleet Management, also points to the strong resale value of these vehicles at the end of the lease term. “Toyota Landcruiser Prado is a popular novated lease vehicle for its off-road capabilities. And because of its reputation and re-sale value it has become the preferred adventure vehicle. The fact that it can also perform well around town carrying seven people makes it a popular vehicle for Toyota Fleet Management novated customers” states Sabato. Dan Hawkins, General Manager Customer Services at Fleetcare, provided some predictions for the top novated vehicles in 2018. “Motorists looking for more sustainable vehicle options will be looking forward to the arrival of the hybrid and pure electric options available from a number of manufacturers. While performance car enthusiasts are eagerly awaiting the arrival of the Kia Stinger” claims Hawkins. “The Stinger is a new frontier for the Korean maker. A rear wheel drive high performance sedan in the mould of previous Australian Commodores and Falcons”. Other new models that Hawkins says to watch are the fully imported Holden ZB Commodore, the Ford Ranger Raptor and the 2018 Mazda6 which is meant to be a quieter, more refined vehicle with a more stylish cabin.